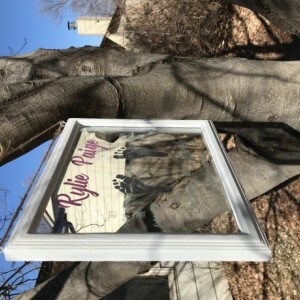 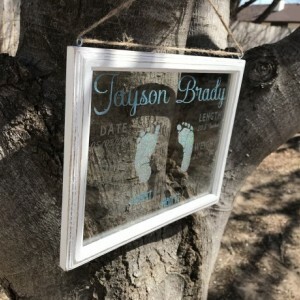 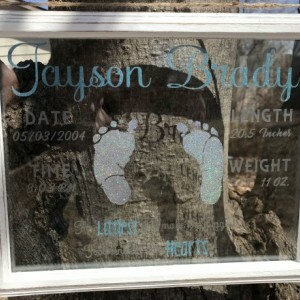 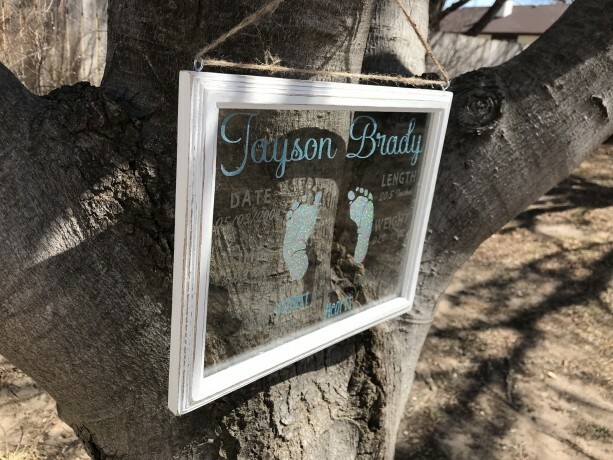 Floating frame with your babies name, birth date, birth weight, length and time of birth. 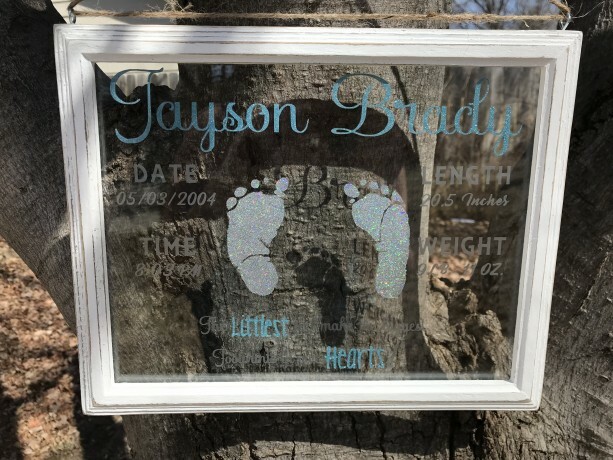 We use your baby's actual footprints to create the silhouette. 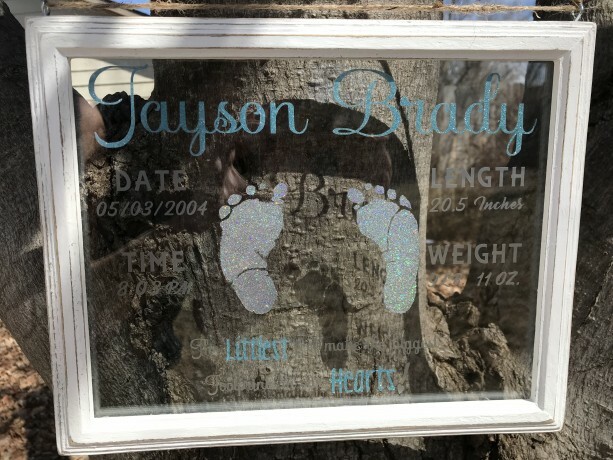 So check your email we'll be requesting that information once ordered. 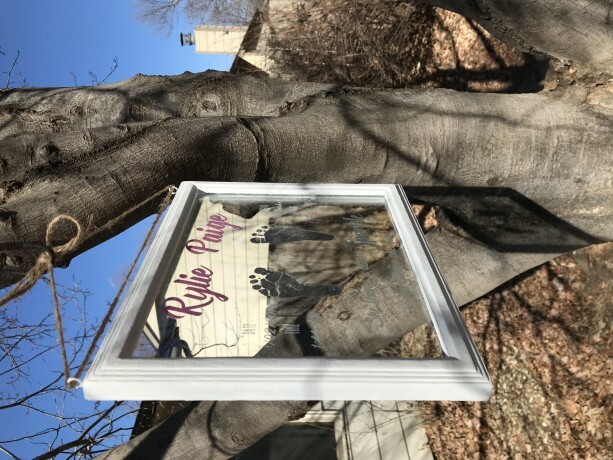 As well as color preferences. 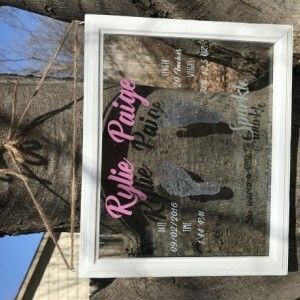 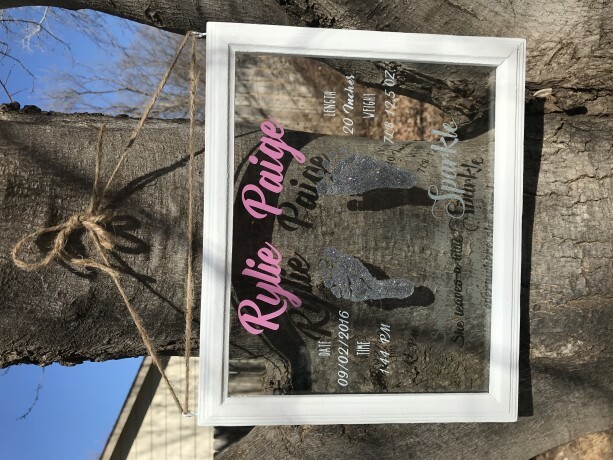 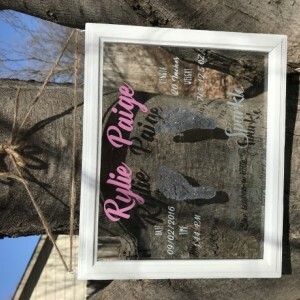 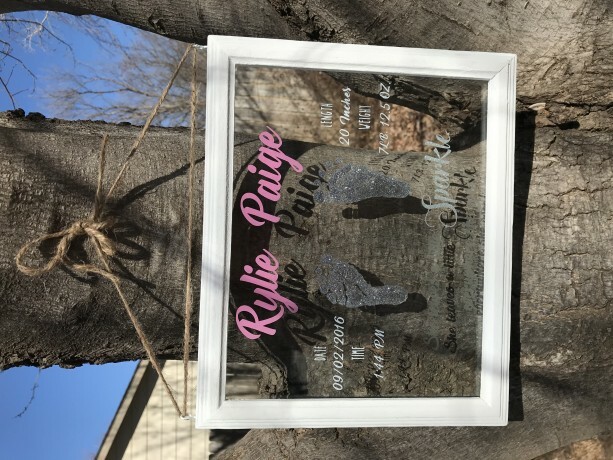 Frame brown or frame white distressed: Holographic Silver feet, silver glitter feet, gold glitter feet, blue, pink, purple, teal glitter letters.